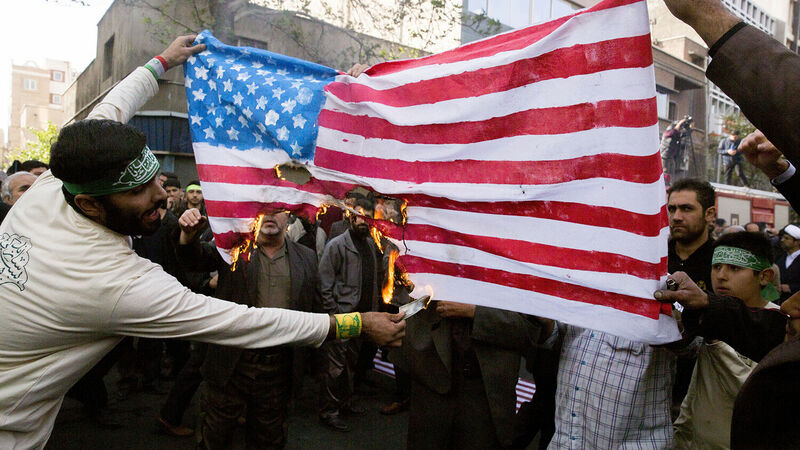 Iranian protesters demonstrate outside the former U.S. Embassy in Iran’s capital, Tehran. Listen to the November 6, 2018, episode of the Trumpet Daily Radio Show. Why does Iran keep getting a free pass from America’s mainstream media outlets? The Islamic nation was recently exposed trying to plot a string of assassinations on European soil. Five Americans are currently imprisoned in Iran, most of whom are in jail for being critical of Iranian leadership. Iran is at the forefront of anti-Semitic attacks aimed at the Jewish state. And it’s run by a theocratic dictatorship that leads chants of “Death to America” and “Death to Israel.” On today’s show, I talk about the media’s hypocrisy when it comes to covering the Middle East and also what Bible prophecy says about the rise of Iran.